This tunic is a wardrobe staple you cannot miss. 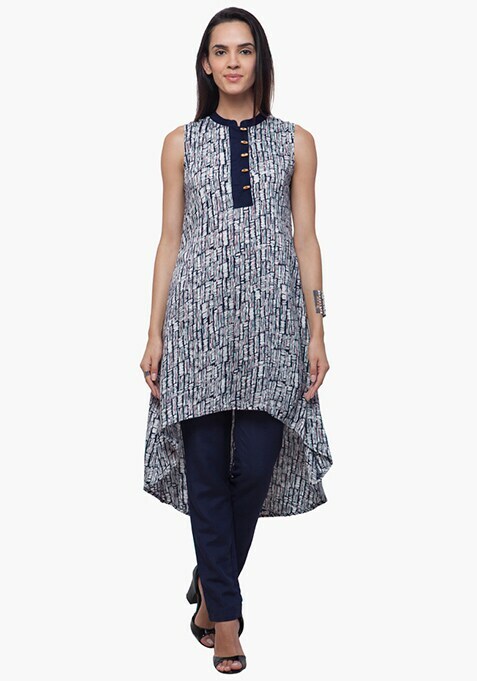 It features stylish high-low hem, mandarin collar and front wooden button closure. Work It - Looks super-chic with cigarette pants, thong sandals and a tassel bag.